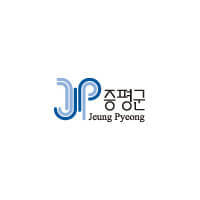 I’d like to extend my sincerest welcome toward all of you visiting the official website of Jeungpyeong-gun, a city of happiness in the central region of the Korean peninsula. Playing an important role as a transportation hub in the heart of Korea, Jeungpyeong is a county of abundant and happiness that is realizing its dream of achieving green transportation and green energy growth. We are a future-oriented agricultural county, with the establishment of eco-friendly agricultural complexes, and a beautiful county, where there is coexistence of ecological streams and green urban spaces. We invite you to our splendid county, which is full of talented individuals who will become the leaders of the future, refined culture, literature and arts, and outstanding welfare service. At Jeungpyeong-gun Office, we are committed to serving the people and bringing happiness and prosperity to all of the residents.